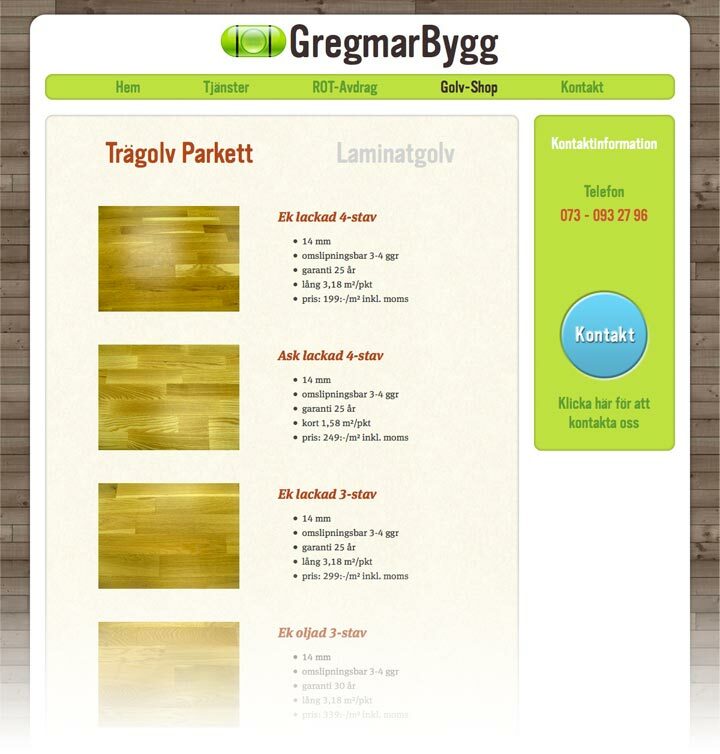 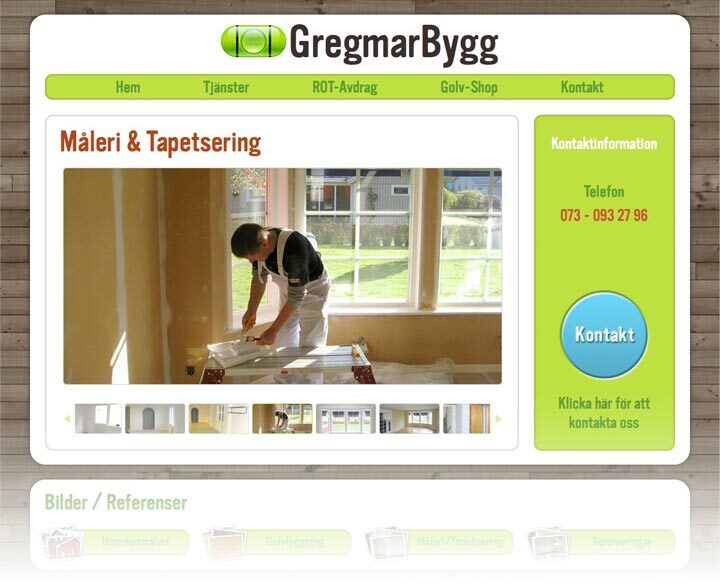 The Swedish carpentry and building firm GregmarBygg offers a wide range of services around the house, from façade and bathroom renovation to interior finishing, decorating and flooring. 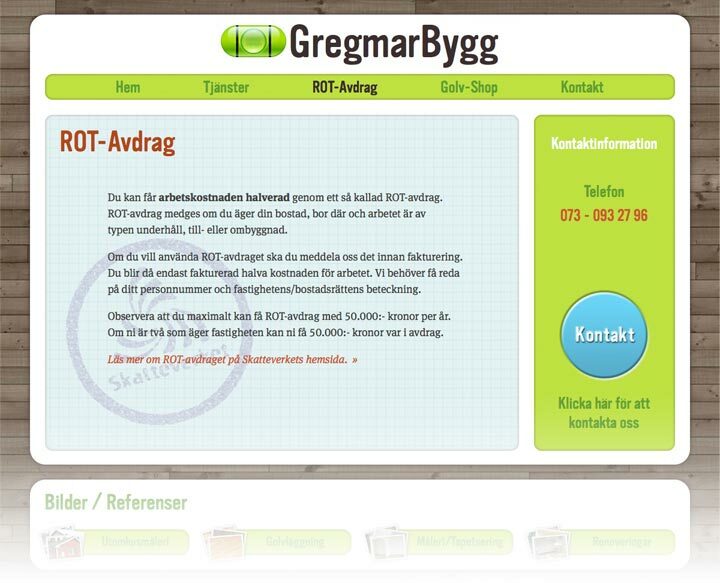 The website's two key tasks are to represent the comprehensive range of services offered by GregmarBygg and to create trust in the quality of the services. 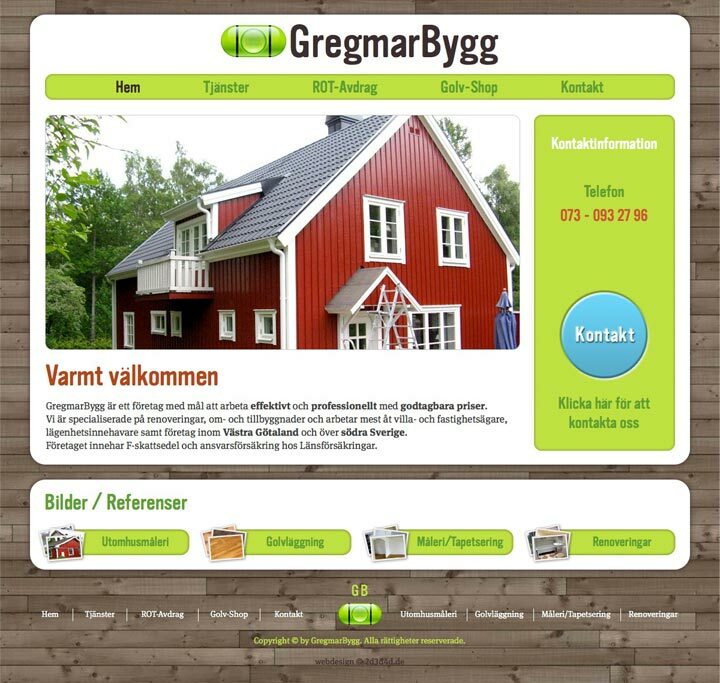 It is particularly important for a craft enterprise website that its design and structure allow for a user experience that conveys a feeling of solidity and reliabilty right from the start: via a clear, „well-built“ menu navigation and a succinct and easily understandable graphic design imbued with a positive „We get the job done“-vibe. 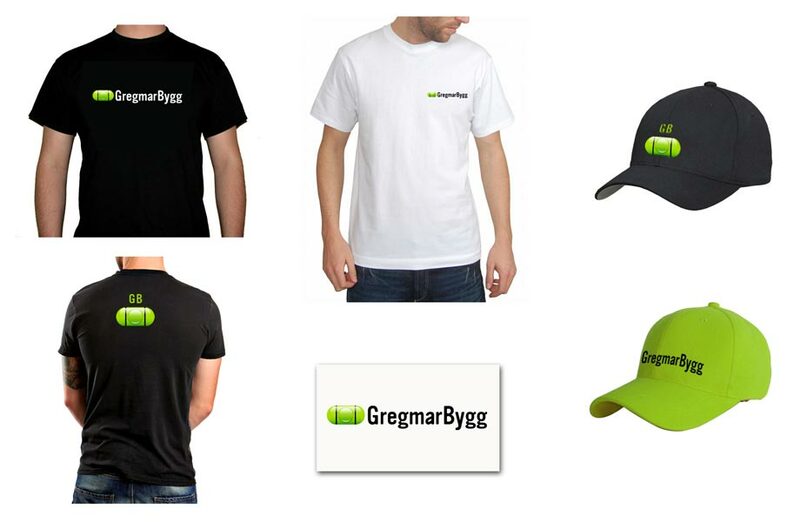 GregmarBygg also needed the design of other media and a new logo. 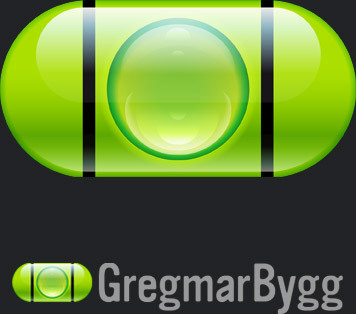 The symbol of the spirit level proved to be ideal for reflecting the broad range of services and visualizes GregmarBygg's commitment to high standards of quality.